Tim Yeo MP has warned talks between EDF and the Government are at 'crisis point' and could fail 'within weeks' due to a disagreement over the subsidy the provider would receive from its latest nuclear plant project. The chairman of the Energy Select Committee said the two were deadlocked over the subsidies the firm would receive from energy generated from its planned UK nuclear power plants:Â EDF are understood to be seeking a ten per cent rate of return, but the Treasury belief it should only be around eight per cent. EDF's plans to build two nuclear power plants at Hinkley Point in Somerset and another two at Sizewell in Suffolk have been besieged with problems for many months, with various delays hindering progress on discussions between the firm and the Government. British Gas owner, Centrica, also recently announced that it had pulled the plug on its partnership with EDF - ending its support of the planned nuclear sites. However, it is a disagreement over how much money the firm should receive from the Government relating to the electricity it generates from the sites which has been a particularly sticky topic for both parties. Speaking to the Daily Telegraph, Mr Yeo said he believed the talks had reached a critical stage and that he could see them concluding one way or another within the next fortnight. He said: "There is a limit to the amount of time you can spend discussing the same issue." The project is set to cost over Â£14bn in total, with EDF already having ploughed over Â£1bn into it already. 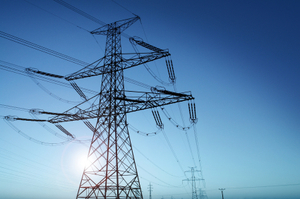 EDF is one of the 'Big Six' energy providers. Many of the firms, including EDF, are currently participating in the Government's new Green Deal scheme, providing subsidies on energy efficiency measures including the fitting new boilers or loft insulation in a home.